As Historian in Residence at the New Central Library, I serve tea weekly (weakly?) on Thursdays from 5-6 PM in room 414-A on the 4th floor. Last night we had Lois Szabo discuss the origins of Club Carousel, Calgary’s first gay bar. Lois was one of the club’s founders in the late ’60s and has been an active member of the community ever since. She was chosen to be our Pride Parade Marshall in 2017. Next week, on Thursday, December 20th, we have local representatives from the el-Tawhid Juma Circle, Calgary’s inclusive mosque space also known as Unity Mosque. The queer affirming mosque space was founded in Toronto almost ten years ago and has since spread to other Canadian cities. Their mission is to be compassionate, inclusive, gender equal and LGBTQ affirming. Please join us for tea! The library residency has proved to be very fruitful for research. I have been combing the pamphlet and clipping files in the library in the new Calgary’s Story section on the 4th floor. For example, I discovered the story of Mark Perry-Schaub who was diagnosed with AIDS in July 1987 and subsequently lost his volunteer job with the Calgary ’88 Olympics Committee. He had been a volunteering for three years prior to the diagnosis and fought publicly to be reinstated. He was successful in his fight and despite struggling with three successive bouts of pneumonia he was strong enough to work throughout the Games. He died two months later. This week I met with three nieces of Everett Klippert whom I had not interviewed before. They shared stories of their Uncle Evie which were new to me, including a wedding with a woman whom he ran away from – the day before the wedding! Last week, I interviewed Joey Sayer, who was instrumental in founding Lesbian and Gay Youth Calgary (LGYC) in the ’80s, as well as significant gay publications Modern Pink, and Alberta Gay & Lesbian Press (AGLP). 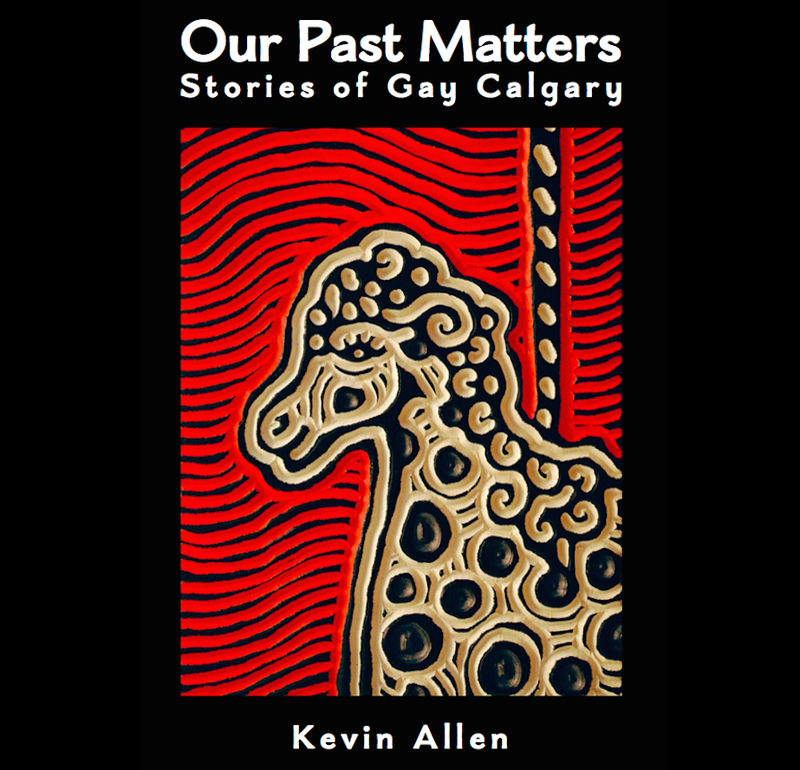 Oral history interviews like these, are key sources for future stories on the Calgary Gay History Project website. This entry was posted in Gay history and tagged AGLP, AIDS, bisexual, Club Carousel, El-Tawhid Juma Circle, Everett Klippert, gay, Historian in Residence, Joey Sayer, lesbian, LGYC, Lois Szabo, Mark Perry-Schaub, Modern Pink, New Central Library, queer, transgender, Unity Mosque. Bookmark the permalink. Thanks for sharing the story about Everett!